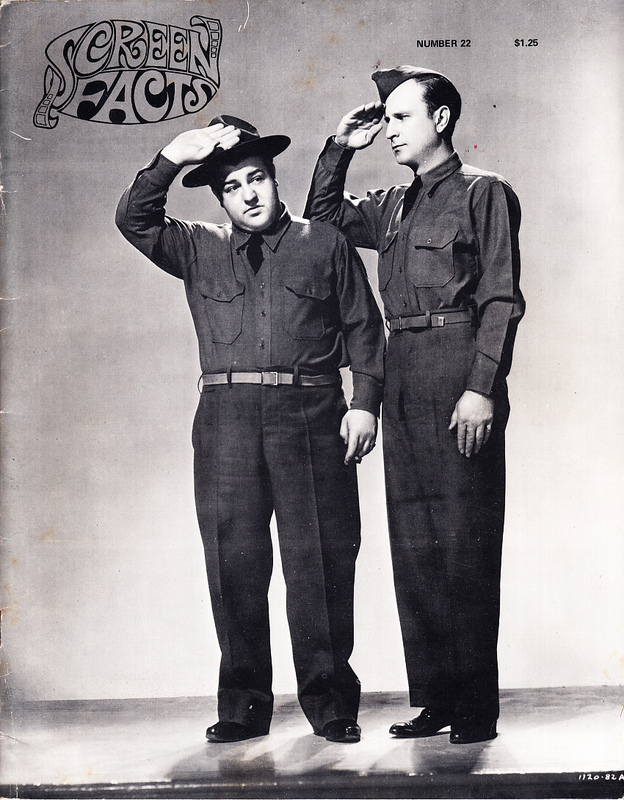 1970 Screen Facts magazine issue 22 featuring legendary comic duo Bud Abbott and Lou Costello on the cover and in the primary feature article. 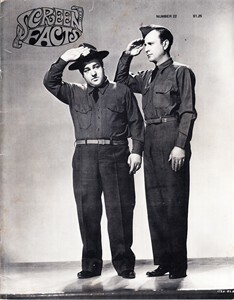 There is a rectangular hole cut in one of the pages of the Abbott and Costello article. Otherwise magazine is in good condition with minor to moderate flaws and wear. ONLY ONE AVAILABLE FOR SALE.